We were the first company to start offering a regular electric transfer service and over our first 3 seasons closed up well over 200,000km of passenger transport with our Tesla Model X cars. 0% CO2 and 100% VIP, our luxury Teslas are powered by our own solar panels and hydroelectric power from the local grid. We offer fixed price private transfers from Chambery and Geneva airports as well as Bourg rail station. Book with Pacifique transfer – the lowest prices for the highest quality! Enjoy a transfer from your airport to Val Thorens with Pacifique Transport. Your driver will meet you from arrivals, help with luggage and transport you comfortably to your chosen ski resort. Book now for top quality services! Three Vallee Transfers run a regular year-round service including shared transfers throughout the week from Geneva, Lyon, Chambery and Grenoble airports and private transfers whenever required. The Geneva Airport Shuttle service runs every weekend throughout the winter for convenient and reliable travel. Organise your transfers to Meribel instantly with the ONLINE BOOKING SYSTEM. You can pay via Visa or Mastercard at no extra cost. You'll also receive instant confirmation of your booking via email. Check out our website at www.3vt.co.uk. Inexpensive airport transfers. From 1st December to 15th of April Allerode Transfers offer you private transfers in French Alps and Switzerland. 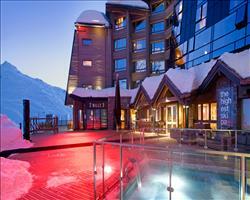 From Geneva, Chambery, Lyon or Grenoble airports or train stations to your ski resort in France and south Switzerland. Our business has steadily grown over the last 11 winter seasons as word has spread of the friendly, reasonable and reliable service that we can offer. We believe your airport transfer should be an enjoyable part of your ski or snowboard holiday and therefore try to make it as comfortable and entertaining as possible. 3 Valley Vans is an Airport Transfer company offering private and shared transfers to resorts in the 3 Valleys. 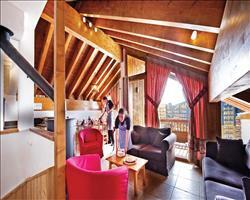 We operate from Geneva, Grenoble, Lyon and airports to Courchevel, Meribel, Les Menuires and Val Thorens ski resorts. They pride themselves on efficient and friendly service as well as very competitive prices! Visit their website for an instant quote and to book: www.3valleyvans.com. A2A Transfers' services include every Alpine destination and ski resort, as well as all of the main airports (Geneva, Zurich, Salzburg and many more). With the largest fleet of minibuses and coaches around, we are able to transport you safely to Val Thorens ski resort. You can access our customer service 24/7. As a bonus to existing transportation services, new service is announced for winter season 2016/2017. 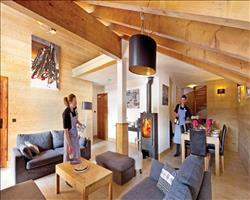 Ski &snowboard rent is available for all return transfers from Geneva airport to the requested ski resort. Save now up to 50% OFF compared to regular in-store prices. Go to ski! Book with us now! Alpes Savoie Taxi and its team, which has been operating for many years in the Tarentaise region of France, extends a warm welcome. 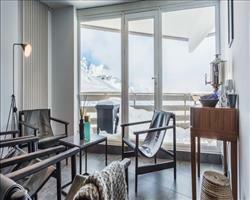 Our location at the heart of the 3 vallées enables us to respond quickly to customers calls. We serve the mountain resorts during winter and summer (thermal spas and skiing), from the region's stations and airports. AlpyBus offer not only reliable & friendly transfers but unbeatable prices. Easily book online or last minute, with shared & private transfers from Geneva Airport to Val Thorens, Chamonix, Verbier, Morzine, Avoriaz & many more ski resorts all over the Alps. Established for over 13 years AlpyBus has a fleet of modern and comfortable vehicles to accommodate any group size. 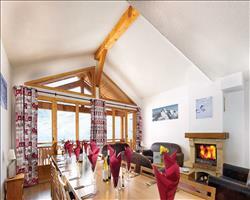 Val Thorens shared transfers run Friday to Monday from Val Thorens, Les Menuires, St Martin de Belleville and Moutiers. 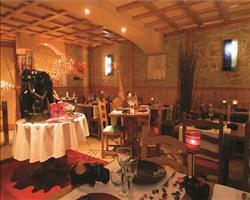 Open 24/7 during winter, and with prices from as little at €49.50 call us or visit alpybus.com for more information. 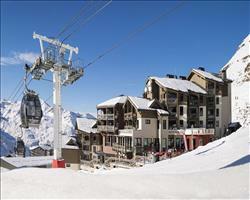 Allego provide a professional transfer service from Geneva, Lyon, Annecy & Chambéry to ski resorts including Val Thorens. Book with Ski Airport Transfers for a door to door airport transfer from Geneva airport to Val Thorens. 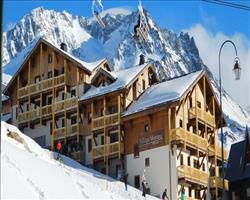 Ski Airport Transfers offer a Reliable service at affordable prices to all European ski resorts. Book online, telephone or email. 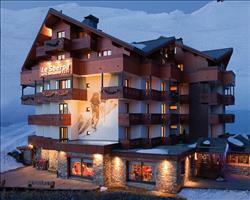 Transfers Baron can take care of all your transfer needs during your Val Thorens ski holiday. With transfers available from a range of airports including Geneva to your destination in Val Thorens, the Three Valleys or other ski resorts – Baron can provide a professional and efficient service. Taxi Baron’s luxury vehicles have tinted windows and leather seating and DVD and can carry 1-15 people to a wide range of destinations in the 3 Valleys area. All drivers are professional and have a great knowledge of the 3 Valleys with helpful tips to help you enjoy your ski holiday. Fees include all charges (VAT, luggage, child seat, waiting time in case of lateness). They also provide a fantastic taxi service. 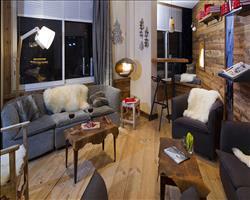 Staying in Val Thorens and need to get there from Grenoble airport? Book with TREX – they have 8 years of experience and offer an excellent service. They provide transfers 24/7 so whenever your flights land and depart, your professional driver will can take care of the rest of the journey – cars are fitted with snow tyres and you’ll even have a bottle of water each to keep you refreshed along the way. 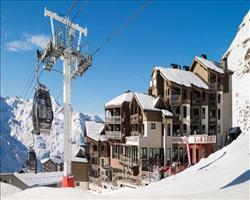 Prices for transfers to Val Thorens are 375€ 1-4 pax and 415€ 5-8 pax (subject to change). A 30€ supplement is applied to night time and weekend transfers. Welcome to Snowbound Transfers We are a professional family business providing reliable door to door airport transfers to the Three Valleys and we have been dedicated to this mission for over 12 years. Your transfer will be our priority whether you are traveling to the French Alps on a ski holiday as a family with children or as group or on business. Our drivers have extensive driving experience on the alpine roads in all weather conditions so you can be confident that you will be in safe hands. The office is permanently based in France with multi-lingual staff that are waiting to assist you. 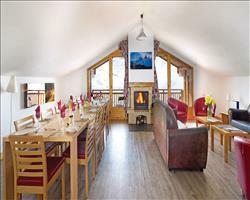 Experience a relaxing, efficient and smooth journey when you book with Snowbound Transfers. 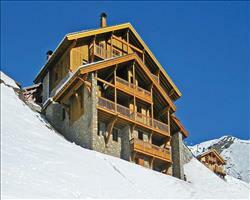 Begin your holiday in Val Thorens with a professional transfer from Geneva Airport Taxi. Professional and English speaking drivers will provide door-to-door service to your chosen resort in a modern vehicle (van, minibus, estate/saloon car). Rates are competitive (no surprise surcharges) and begin at €355.50 for a 1-4 pax transfer from Geneva to VT. The Ski Shuttle are a professional airport transfer service offering value for money transfers to Val Thorens from Geneva, Lyon, Grenoble and Champery airports. Sky2Ski is a small established airport transfer company who’ve been providing excellent services in the 3 Valleys for nearly a decade. Whether you’re flying into Lyon, Grenoble, Chambery or Geneva (or getting the train to Moutiers, Lyon or Chambery stations), we’ll provide a friendly, efficient and reasonably priced journey to resort. We are very proud of our customer service and our safety record. Our drivers are all local permanent residents – not "devil may care" seasonaires but experienced and diligent drivers. Our company, based in Lyon, is specialised in Airport and Railway Station transfers. We provide a 24 hours service with airport transfers (car and driver) for all airports in the Rhône-Alpes area and will drive you to any location of your choice. Our aim is to offer the safest and most reliable transfer service to all our customers at a competitive price. We also offer a meet and greet service from most airports, railway stations and even cruise ports. On arrival, our English-speaking drivers will be waiting for you at the airport / station / seaport arrival halls with your name on a sign board. There are no additional costs for flight delays as your flights will be monitored and our drivers will meet you accordingly. Our fleet of minibuses consists of "super comfortable" (Mercedes Viano Ambient extra long with leather interior), carrying up to 7 people. They’re all equipped with Wi-Fi when driving on French territory. We will do our best to make your journey as comfortable as possible. We remain at your disposal for any further information and look forward to our future cooperation. Regular Line Informations : 0820 320 368 (0.118€/min) +(33)4 79 68 32 96 GRENOBLE airport – VALLEY OF TARENTAISE Moûtiers – Aime – Bourg St Maurice – Courchevel – Val d'Isère CAUTION RUNNING ONLY DURING THE PERIOD OF SKI IN WINTER LYON PART DIEU – GRENOBLE ISERE Airport BE CAREFUL !! RUNNING WITH WEB RESERVATION, VALIDATED BY PAYMENT ( At least 4 days before the departure ! ) TERMINUS IN LYON : LA PART DIEU, Bd Vivier Merle (in front of Bibliotheca) Expenses of file 2.20€ by reservation BE CAREFUL ! SALES OF LAST MINUTES IN THE AIRPORT : +10€ per ticket then do not hesitate to reserve your itineray before leaving on Internet and you economize 10€ per ticket. Based at Geneva Airport, Swift Copters have been providing excellent helicopter service since ’96 –transporting skiers comfortably to resorts in the shortest amount of time. When you land at the airport, one of their drivers will collect you in a limousine for a smooth journey to the helicopter – and then up and away to your resort. Private and Shared, Basic and VIP Helicopter Airport Transfers to and from Val Thorens and all the servicing airports - Geneva, Chambery, Grenoble, Lyon 'St Exupery', Lyon ' Bron' and Annecy. For your every transport need during your Val Thorens ski holiday. Pacifique Transport offer a reliable taxi service that meets the highest standards. Covering all resorts in the 3 Valleys (Meribel, Courchevel, Les Menuires and more) and other resorts in the Alps, as well as a large range of airports and stations, Pacifique Transport provide a safe and comfortable transfer at reasonable rates to your chosen destination. You can even save money when you book an all-round trip! Taxi Baron can take care of all your transport needs during your Val Thorens ski holiday. Taxi Baron’s taxis can carry 1-15 pax to a wide range of destinations in the 3 Valleys area. Taxi Baron can take care of parcel deliveries, hospital transfers and many more requests. Taxi Baron’s drivers are very professional and have a great knowledge of the local area to help you enjoy your stay. Enjoy a comfortable journey in a luxury vehicle with tinted windows and leather seating & DVD. Search "taxi-cevins-savoie" online for more information! Proud of their personalised, professional and all in all exceptional service, Lurentis have a spectacular selection of cars for hire and will deliver them to you whenever, wherever and however you like. 4x4 and SUV brands, popular for carting ski gear, include Land Rover, Mercedes, Porsche, Audi and BMW though their collection covers everything from Mini Coopers to Lamborghinis. From cheap airport transfers to Val Thorens helicopters from all the nearest airports to Val Thorens, France.